Although jeans may just be your go-to wardrobe staple for standard weekend looks, they’re a surprisingly versatile pair of pants. Whether you’re heading to the pub for a pint, the office on “Casual Friday” or a cool cocktail party, jeans can make an excellent choice. They may be basic, but these essential denim designs are versatile and can be worn in many exciting and stylish ways. 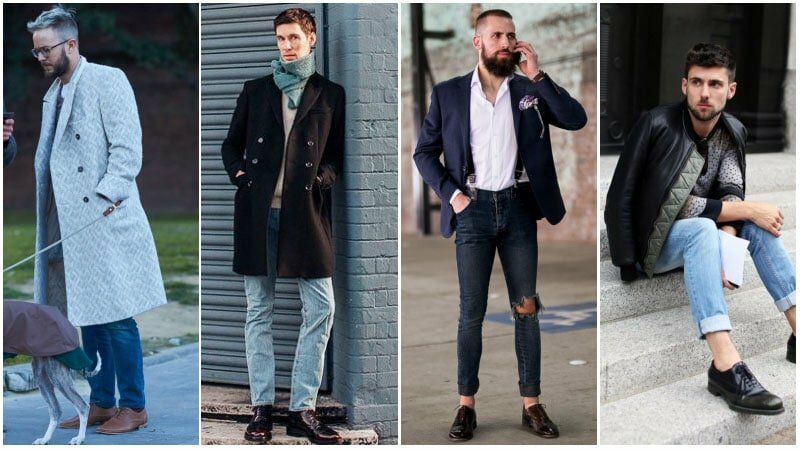 To nail the different looks that jeans can achieve, such as casual, smart casual, and semi-formal styles, choosing the right shoes is essential. From boots to boat shoes, the footwear that you partner with your jeans will have a significant impact on your overall outfit. So, to ensure that your combination is just right, we’ve created this helpful guide to show you what shoes to wear with jeans for different occasions. 1 What Shoes Can You Wear with Jeans? What Shoes Can You Wear with Jeans? Finding the ideal footwear to go with your favourite jeans can be a challenging task. From choosing the perfect style for your desired look to selecting the colour that’ll complement your outfit, creating a great combination isn’t always easy. Luckily, we have tips and tricks to help you nail your perfect match. 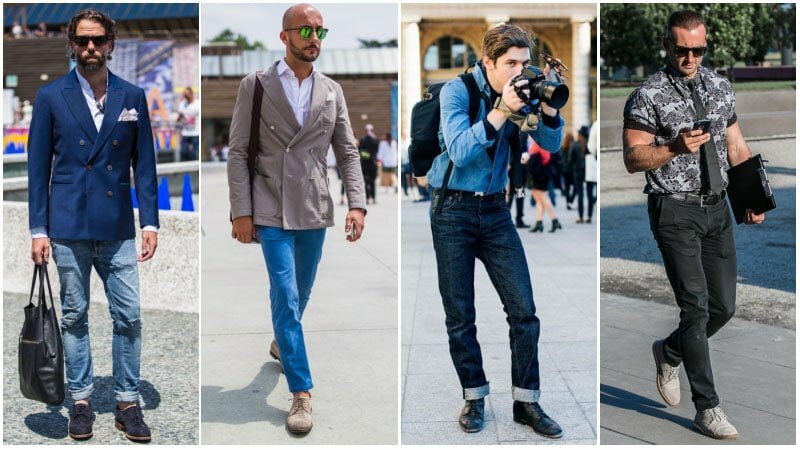 Whether you want to wear trainers, boots, derby shoes, loafers, boat shoes or oxfords, we can show you how, when, and where to rock them with denim. 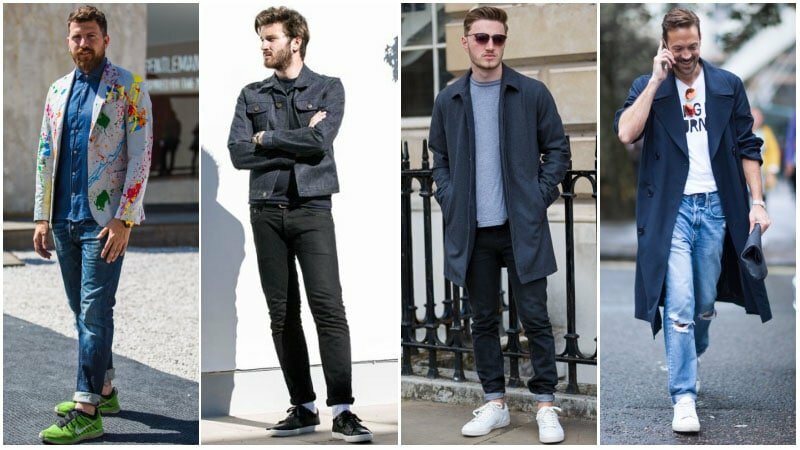 Thanks to the booming athleisure trend, it’s once again cool to wear your jeans with trainers. So, if you’re after a look that’s casual and comfortable, you can’t go past this winning combination. For a minimal and sleek appearance, opt for plain white or black sneakers. If you like a bolder aesthetic, on the other hand, consider boldly coloured options instead. Also, don’t forget about the rest of your outfit. 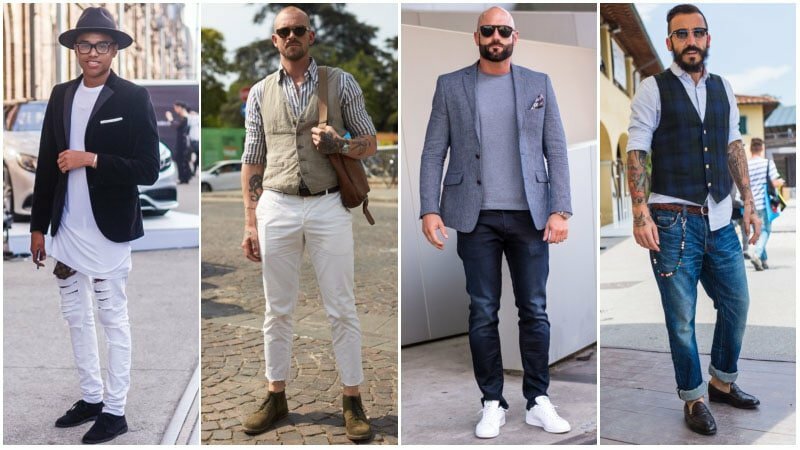 While trainers and jeans work well with a T-shirt and jacket for a relaxed appearance, the partnership can also suit smart casual occasions when worn with a collared shirt and blazer. Boots are another excellent footwear choice to rock with jeans. All you need to do is find the perfect style for your needs. So, if you’re after a casual, urban appearance, try choosing styles such as a chunky, hiking boot. If you want a smart casual appearance, consider Chelsea or chukka boots instead. Also, remember to consider colour and texture. While suede and brown designs will usually have a relaxed and rugged appearance, black and leather varieties will look more sleek and sophisticated. For smart casual and semi formal outfits with jeans, consider derby shoes. The formal footwear style is ideal for balancing the casual appearance of denim with more elegant pieces. To try the look for yourself, consider partnering a pair of derby shoes with dark-wash jeans, an oxford shirt, and a blazer. When choosing your derby shoes also remember to get creative. While black and brown styles are always classic, navy and grey options can create a unique and seriously stylish appearance. 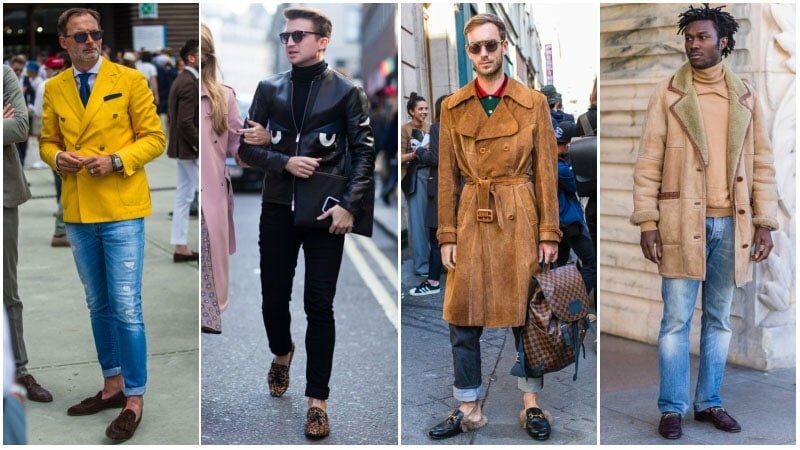 Loafers are the ideal shoes for creating a laid-back yet luxurious appearance. As such, they partner extremely well with jeans, especially for smart casual and semi formal outfits. For a traditional appearance, try a classic pair of leather penny loafers. Doing so will create a sleek and dapper appearance that’s perfect for polished outfits. 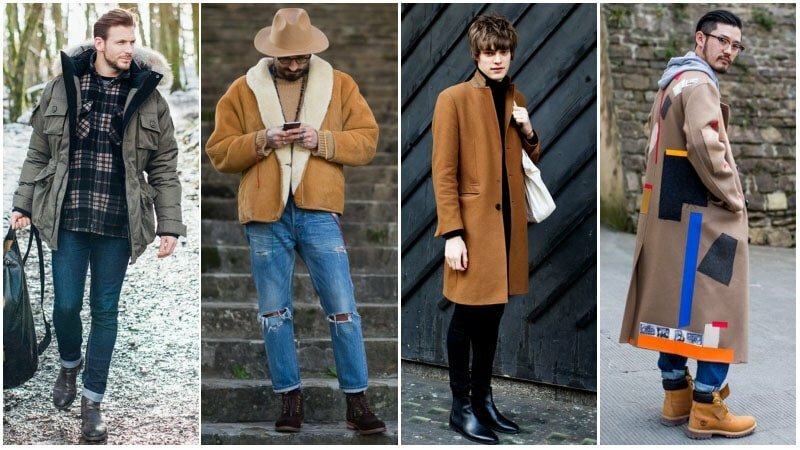 Suede, tassel, and patterned styles, on the other hand, will inject a fashion-forward aesthetic into any ensemble. Think that you can only wear your boat shoes with chino shorts on a yacht? Think again. Whether you’re heading to a polo match or a simple summer brunch, boat shoes and jeans can make for an awesome outfit. To enhance the aesthetic of these relaxed yet refined shoes, you can partner them with other summertime staples. White cuffed jeans, a light blue shirt, and sunglasses will all combine to create a top-notch, smart casual outfit when worn with boat shoes. For a more formal outfit with jeans, oxford shoes will work a treat. The classic footwear style is ideal for taking denim from casual to chic. Just remember to stick to traditional styles in colours like brown, burgundy, and black. Also, don’t forget about brogue style oxford shoes. These decoratively perforated designs are slightly more unique and make a great option for smart casual ensembles. Jeans are the ideal choice for casual occasions. Thanks to their relaxed appearance and heavy-duty fabric, these pants naturally project a perfectly informal and easy-going vibe. As such, you can choose almost any style and partner them almost any other casual pieces to achieve a great weekend look. 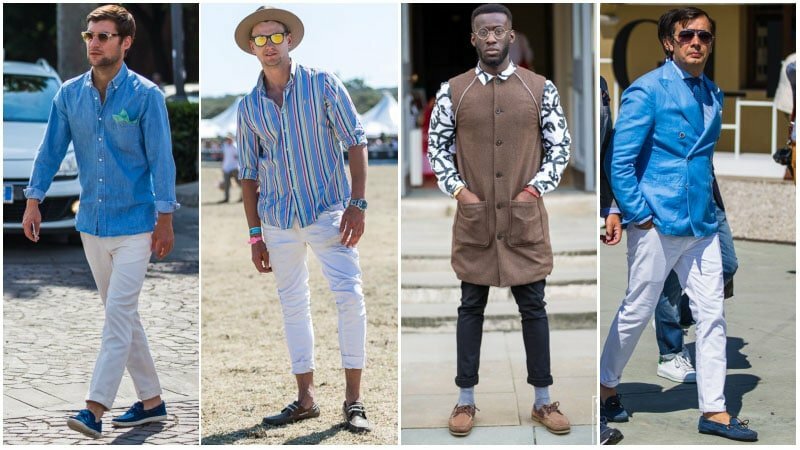 When it comes to the ideal footwear for nailing a casual denim outfit, choose between comfortable and relaxed styles, such as sneakers or boots. When worn right, jeans can be an excellent option for smart casual events and occasions. To nail the look, all you need to do is strike a balance between sharp pieces and more casual items. 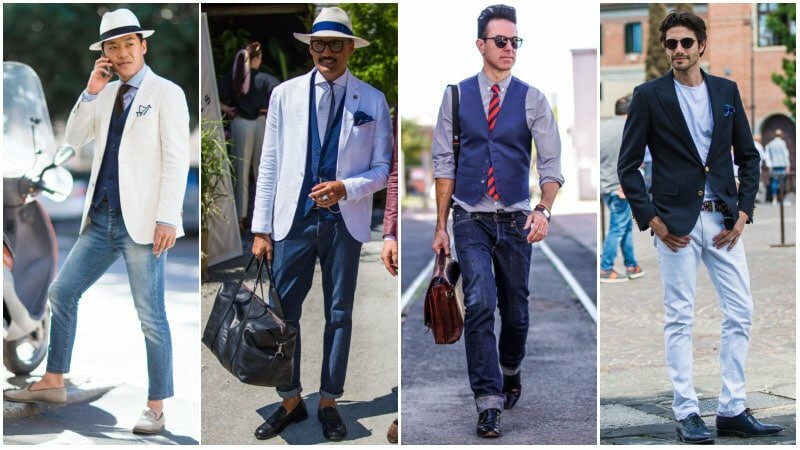 For instance, rocking your jeans with a T-shirt and blazer will create a complementary appearance, as will a button-up shirt and vest. You can also use your footwear to complete your outfit. Choose styles, such as chukka boots and loafers for a relaxed yet sophisticated appearance. Sneakers can also work, but ensure that the rest of your outfit is perfectly polished to avoid seeming overly casual. It can be a somewhat tricky look to pull off, but jeans can work for semi-formal occasions. You just need to ensure that the rest of your outfit is seriously sleek to maintain a polished aesthetic. As such, wearing a shirt with a blazer, vest or suit jacket is a good idea. Don’t forget about your footwear either. While oxfords, derby shoes, and loafers will ensure that your look is elegant and semi-formal, other footwear styles, such as sneakers will drag it down to a lower level. 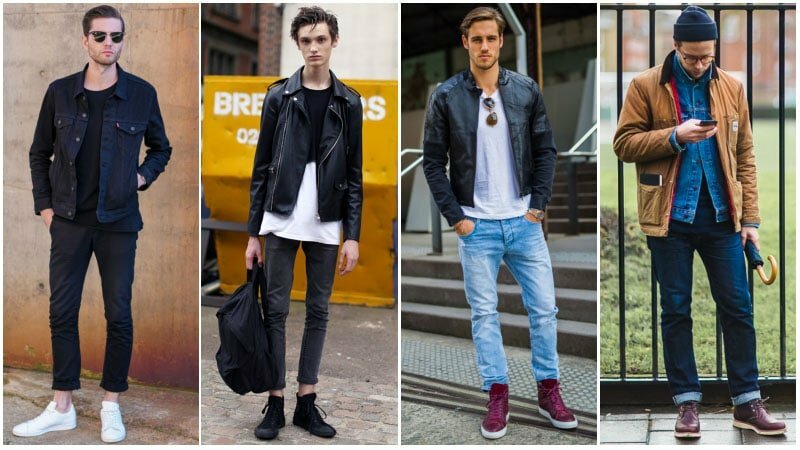 Wear trainers with jeans for a cool, casual look. Chelsea and chukka boots are ideal for smart casual outfits with jeans. Loafers will add a luxurious yet laid-back appearance to smart casual and semi-formal jeans outfits. Partner derby or oxford shoes with jeans, a collared shirt, and a blazer for a semi-formal style. For a fresh summer appearance, combine boat shoes with white jeans and a light blue shirt.